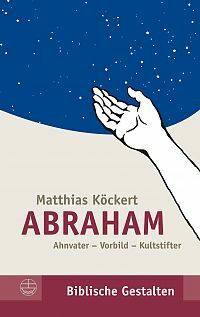 The hand of God shows Abraham the uncountable amount of stars. As numerous as they are his ascendants should be. Hard to believe then, but obvious today: Three world religions make a claim on Abraham. As Israel’s forefather he stands at the cradle of Judaism. His example taught Christians from the time of Paulus until nowadays what it means to believe. The Islam considers him the perfect Muslim, who devoted himself completely to God’s will. To commemorate him and his sacrifices people exercise annual pilgrimages. To him as a cultural patron it is said we owe the sacred site of Mekka. These different interpretations are based on 1 Mose 12–25 about Abraham and Sara. Those texts are real gems. Matthias Köckert’s book is worth reading and guides us to discover the literary beauty of them and to appreciate their massive influence. Matthias Köckert, Dr. theol., Jahrgang 1944, lehrte als Professor für Exegese und Theologie des Alten Testaments an der Humboldt-Universität zu Berlin. Neben Aufsätzen vor allem zur Religionsgeschichte des antiken Israels, zu den Psalmen und zu den Zehn Geboten hat er zahlreiche Arbeiten zu den Vätergeschichten des 1. Mosebuches veröffentlicht.